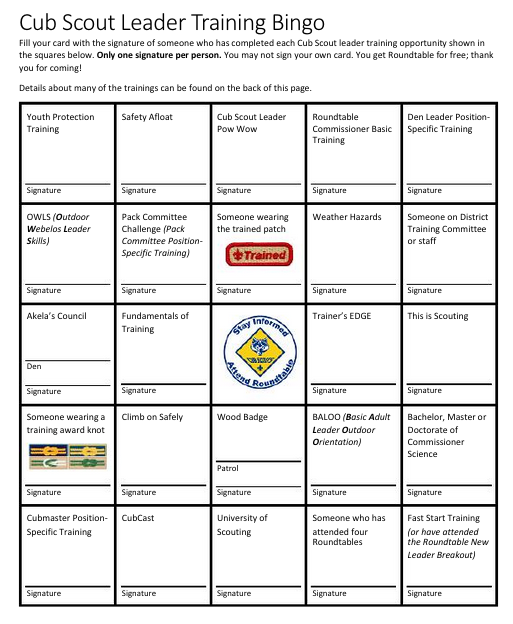 "I created this for a gathering activity for my upcoming roundtable. It is much like the gathering activity for the blue and gold banquet. Only, in this case it is focused around leader training and a little bit on leader awards. The second page is intended to be printed on the back of the first page. If you think it would be of interest to anybody, you may post it."